These products were sent to me complimentary by Kerastase. All opinions are 100% my own. This post does contain ads which means I will receive a tiny portion of ad revenue if you click on an ad. Hi loves, today I wanted to do a post on hair care since it has been a hot minute since I've posted about hair care. 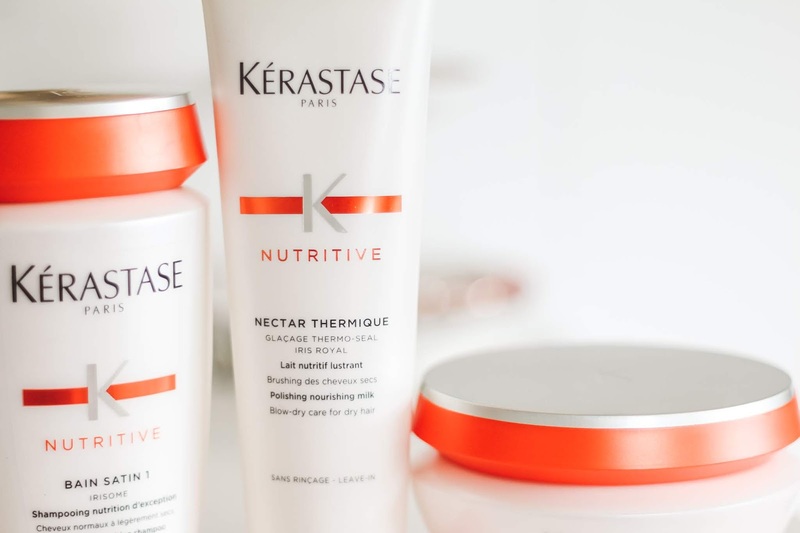 Kérastase was so kind and sent me a few of their products from their Nutritive Collection. I wanted to just go over some of the products they sent me and what they are used for. I do have 4 different products to share with you. I have only been using a few in my haircare routine but so far I really enjoy them. Firstly, let's just talk a little bit about the brand. 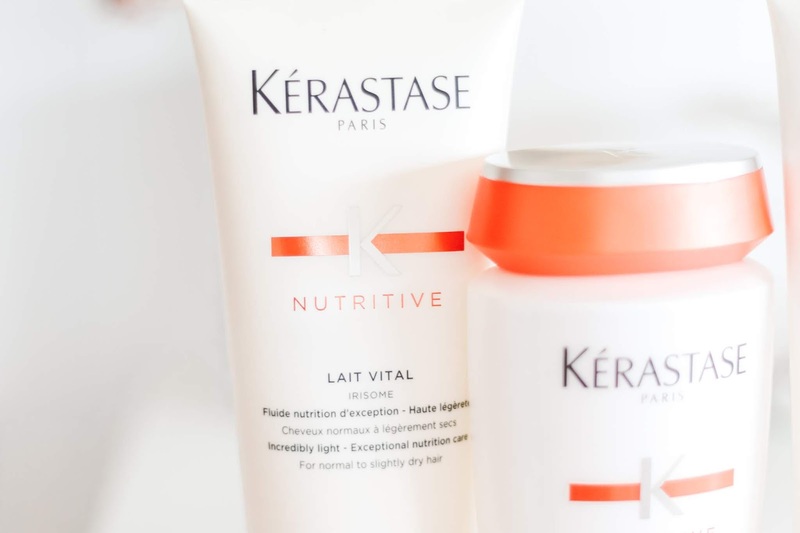 Kérastase is a luxury haircare company and is owned by L'Oreal. They recently reduced the prices of their products as well. 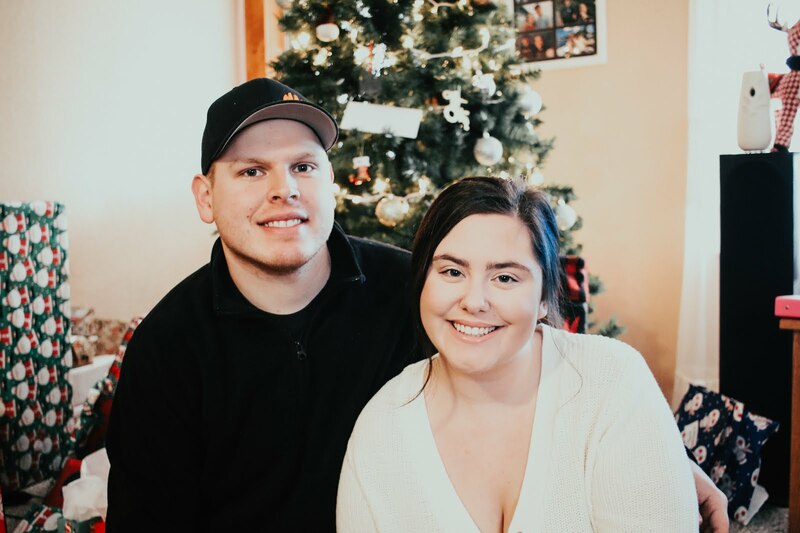 I remember a while back I received a couple products by Kérastase from Influenster and I remember the prices being on the higher end. And looking at current prices, they are still a little high, but again, they are a luxury haircare company. Now moving onto the products. I have 4 products to share with you and they are all part of the Nutritive Collection. The Nutritive Collection is made for people with dry hair which is something I do struggle with. Lait Vital- I have been using this product for a few days now and it literally smells so good. This product is a conditioner that you apply from the middle of your hair down to your ends. You leave the product on for 2-3minutes, then you rinse it out. It helps restore moisture back into your hair and also adds some shine. This product retails for $34.00 and contains 200ml amount of product and can be purchased at www.kerastase-usa.com. Bain Satin 1- this is the shampoo I have been using the last few days. It is a very gentle shampoo that cleanses the hair while it provides nutrition to the hair. This would work with normal to slightly dry hair types. I love how the shampoo left my hair feeling. It didn't feel like my hair was weighted down and also added lots of moisture back into my hair. This product retails for $30.00 and contains 250ml of product and can be purchased at www.kerastase-usa.com. Nectar Thermique- I haven't tried this product yet but I do plan on it this weekend. This is a leave-in treatment. It is supposed to smooth away dull and rough hair surfaces and leave your hair looking shiny. I can't wait to try this because I love trying out new leave-in treatments. This product retails for $37.00 and contains 150ml worth of product. 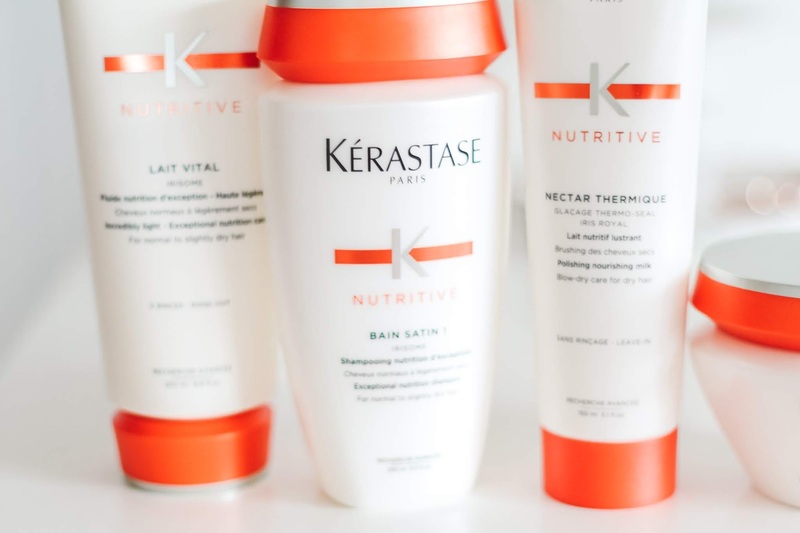 You can purchase this product at www.kerastase-usa.com. Masquintense Fine- this is a deep conditioning hair mask. So unlike the actual conditioner that we talked about earlier, this is a mask that you leave in your hair for about 5-10 minutes. You apply this from the middle of your hair and down to the ends. This mask is perfect for fine hair and they also make the same mask, but for thick hair. I can't wait to give this a try soon! This product retails for $53.00 and contains 200ml of product. 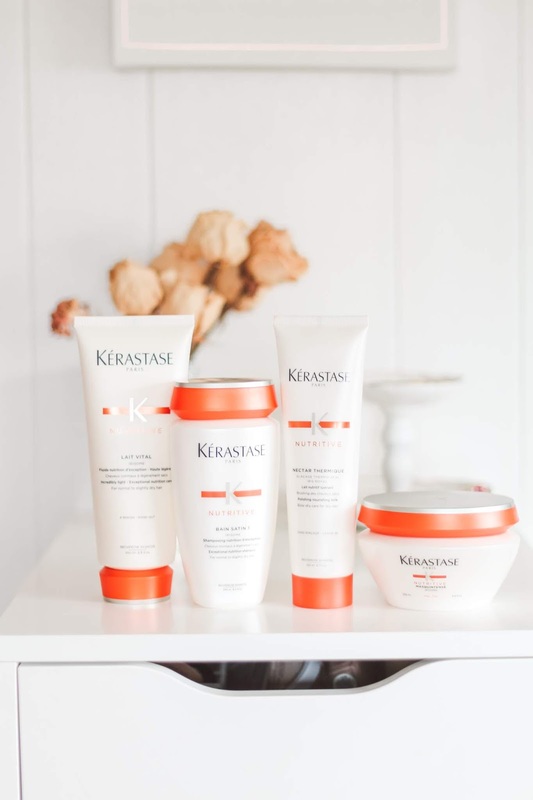 It can be purchased at www.kerastase-usa.com. I seriously love trying out new haircare products so I was super excited to receive these. Let me know in the comments if these are products you are interested in or not. 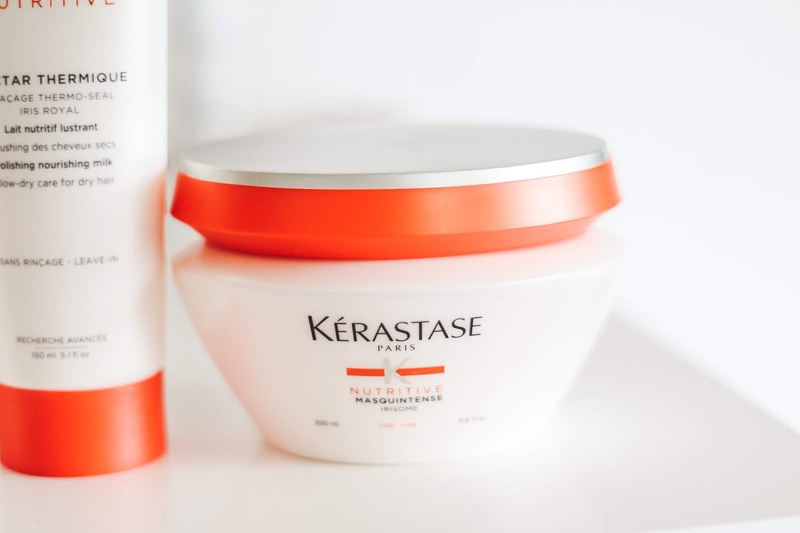 Kérastase also has many other collections on their website that work for all different type of hair concerns!